The sturdy frame gives each chef the option to operate the unit on a table-top or have it free standing using the included leg extensions. 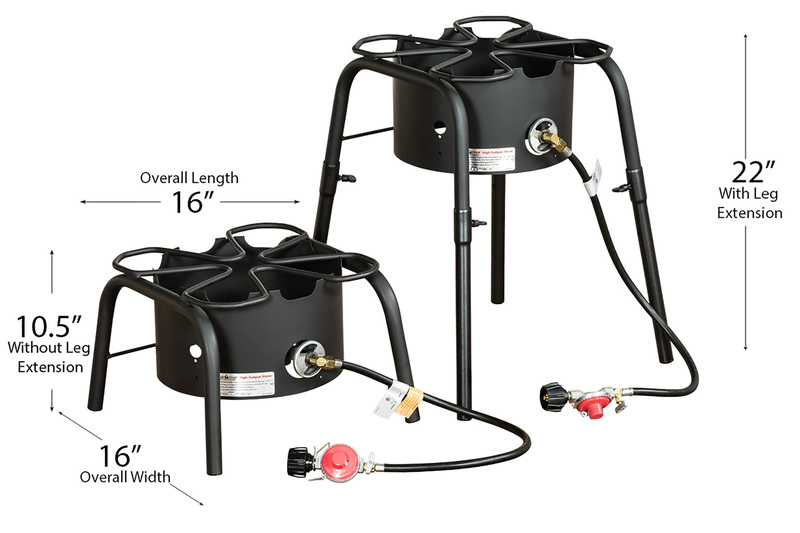 We pair this utility stove with a 60 quart pot set made from 3004 aluminum that spreads heat evenly along the base and sidewalls for efficient heating. This pot set features a straining basket, lid, and pot with double thick top ring and double thick bottom to prevent warping and resist denting. • Total weight of SH140L & 60 Quart Pot Set is 40 lbs. • Shipping weight is 40 lbs.